This is going to be news and results so if you don’t want spoilers, here’s your chance to avoid. All Japan Pro Wrestling: AJPW held their biggest drawing Yokohama show in their recent history, 24.02 under the Excite Series. Three big stakes were contested, the final of the Junior Battle of Glory was held as Koji Iwamoto defeated Wrestle-1/Strong Hearts, Seiki Yoshioka in a terrific final. Great Kojika seconded Strong BJ in their successful AJPW World Tag Team Championship defence against Sweeper’s Jake Lee and Ryouji Sai. And finally, Suwama was unsuccessful in his attempt to win the Triple Crown Championship from Kento Miyahara. These matches take place on the 21.03 in Nagoya on the Dream Power Series tour, the Final will be the main event on the same show. Big Japan Pro Wrestling: Ryota Hama & Yasufumi Nakanoue successfully defended the BJW Tag Team Championships against Okami in Osaka on the 23.02, on the same show The Bodyguard was unsuccessful in his challenge for the BJW Strong World Championship/Zero1 Championship against dual champion Daisuke Sekimoto. ~Ikkitousen – Death Match Survivor~ kicked off on the 28.02 in Korakuen Hall, wins in A Block for Ryuji Ito and Yuko Miyamoto, wins in B Block for Kankuro Hoshino, Minoru Fujita and Masashi Takeda. On the same show, Violence Giants appeared and challenged Strong BJ to a rematch for the AJPW World Tag Team Championship. Dragon Gate: Champions Gate 2019 was held over this weekend in Osaka, 02.03 & 03.03, on 02.03 K-Ness and Dragon Kid turned back the clocks and had a fantastic match for Kid’s Open the Brave Gate title, Kid retained with a Bible. Open the Triangle Gate was also on the line as Yoshida, KAZMA and Kanda defeated Doi, Ishida and Yoshino in their first defence. Ishida unhappy with the method of victory was given an ultimatum for 03.03, if he beats Yoshida, MaxiMuM have another chance, if he loses, they cannot challenge for a year. Susumu Yokosuka also challenged Kid for a title match. On 03.03, Ishida did in fact beat him. Big Ben retained the Open the Twin Gate Championship but remained ostracised by the rest of R.E.D, and PAC retained against Shun Skywalker. Another big show on the 07.03 in Korakuen, as we get this unit warfare match, plus Doi vs Dragon Kid and another 20th anniversary match as Ryo Saito faces Takuya Sugawara, who now plies his trade in Zero1. 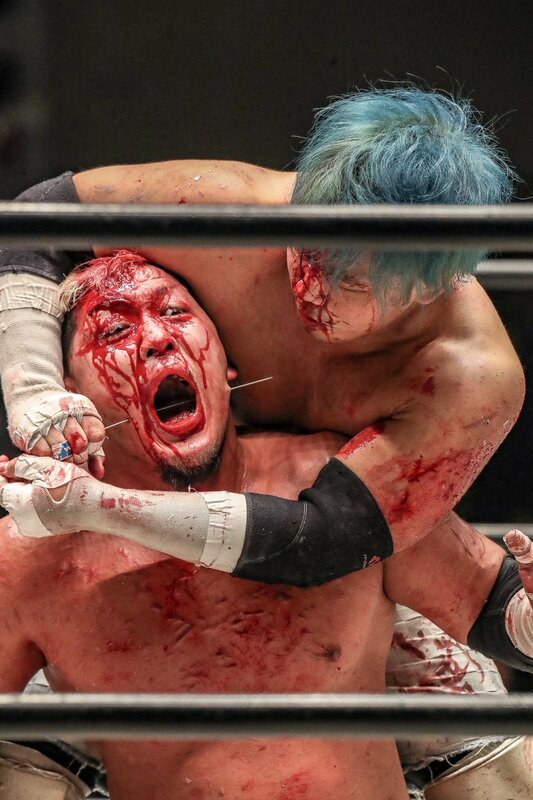 Dramatic Dream Team: Disaster Box and ALL OUT had a cracking match on the 02.03 in Osaka, but unfortunately for them they were unsuccessful in their attempts to capture the KO-D 6 Man Tag Team Championship. Pro Wrestling Noah: The green canvas is gone, except for Misawa memorials, but The Hooligans are no more, losing a disband match on the 24.02 in Korakuen Hall, two title changes also happened as Kotaro Suzuki and Yoshinari Ogawa defeated The Backbreakers for the GHC Jnr Tag Team Championships, and AXIZ, the name for Katsuhiko Nakajima and Go Shiozaki, defeated 50 Funky Powers for the GHC Tag Team Championships. The card for Great Voyage has been set, 03.10. SEAdLINNING: Arisa Nakajima & Ayame Sasamura vacated the Beyond the Sea Tag Team Championships at the 28.02 ShinKiba event, also on the same show Nanae Takahashi was successful in her Beyond the Sea Championship defence. *This was a record breaking defence, her 11th successful. 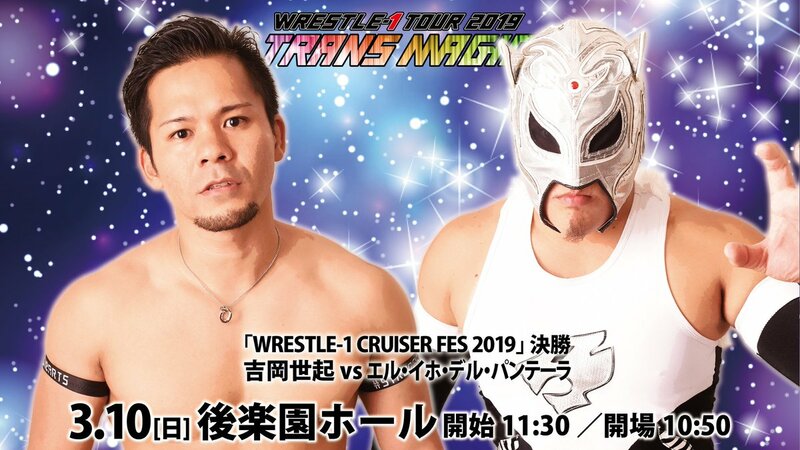 Wrestle-1: The final for Cruiser Fes 2019 will be Seiki Yoshioka vs El Hijo del Pantera. This will be Yoshioka’s 2nd final in the space of a few weeks following his loss to Iwamoto in All Japan’s Junior Battle of Glory. This match will take place in Korakuen Hall on the 10th. Zero 1: Yuji Hino has declared that he has signed with Zero 1. Results/news from PuroLove.com, All Japan English, Dragon Gate Official & English, Hisame and W-1 English.